Transnational Government of Tamil Eelam (TGTE) Welcomes UN High Commissioner for Human Rights Calling Sri Lanka’s Bluff TGTE to UN Human Rights Council: Request Security Council Referral to the International Criminal Court (ICC). On 8 March 2019, the UN High Commissioner of Human Rights released her highly-anticipated report on Sri Lanka’s progress to fulfill its commitments under UNHRC Resolution 30/1. The High Commissioner finds that Sri Lanka has failed its obligation to create the special judicial mechanism described in 30/1, noting that both the President and the Prime Minister have repeatedly asserted that there will be no international involvement in any justice mechanism, walking back on Res. 30/1 terms. Sri Lanka’s complete and utter failure to make even the most minimal efforts to deliver justice to victims and their families cannot be tolerated. The international community must end its complacency with the impunity Sri Lanka extends to the perpetrators of some of the gravest crimes committed this century. “Concrete results were yet to come.” (A/HRC/40/23, para.16). 1) The Human Rights Council must pass a resolution establishing an international investigative mechanism including a referral of the situation of Sri Lanka to the International Criminal Court. In her report (para. 51), High Commissioner Bachelet states, “Concerns remain regarding the state’s capacity and willingness to prosecute and punish perpetrators of serious crimes when they are linked to security forces or other positions of power.” TGTE welcomes the High Commissioner’s observation. Three comprehensive UN investigations have found “credible allegations of violations of international humanitarian law…some of which amount to crimes against humanity.” (Panel of Experts Report, 31 March 2011, p.ii) The 2015OHCHR Investigation on Sri Lanka (OISL) found “reasonable grounds to believe” (the same standard used by the ICC to issue arrest warrants) that the Sri Lankan Army committed: unlawful killings; enforced disappearances; shelling of hospitals and civilian areas; sexual torture and denying civilians humanitarian aid. It cited abundant video, photographic and documentary evidence of these crimes and identified the specific units responsible. OISL found that senior level perpetrators are still able to “prevent any progress in…addressing accountability.” (A/HRC/30/CRP.2, para.1270). As High Commissioner Hussein stated in his report to the HRC’s 34th session, the crimes were systematic and necessitate a special court. The HRC’s upcoming resolution should establish an independent tribunal such as the International Criminal Tribunal of Yugoslavia (ICTY) or the International Criminal Tribunal of Rwanda (ICTR) or request that the UN Security Council refer the case to the ICC pursuant to its authority under Article 13 of the Rome Statute. Transnational Government of Tamil Eelam calls on the Human Rights Council to establish an Independent, Impartial and International Mechanism for Sri Lanka. Such a mechanism would ensure that evidence of crimes held by the Government of Sri Lanka, other States, the OHCHR and civil society actors will be preserved for use by the ICC and other national courts bringing cases under universal jurisdiction. The first objective of the Human Rights Council listed in Resolution 5/1 is “the improvement of the human rights situation on the ground.” Instead, what we have seen in Sri Lanka since the adoption of resolution 30/1is further degradation of human rights. 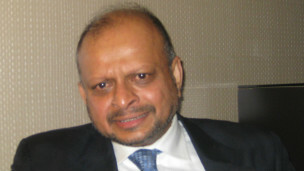 It is therefore incumbent upon the Council, in order to fulfill its duty, to reject the status quo, act on the Commissioner’s recommendations, and prioritize international involvement to finally, ten years after the end of the conflict, actually capable of delivering the accountability and protection and promotion of human rights of Tamils in Sri Lanka that the State never will.